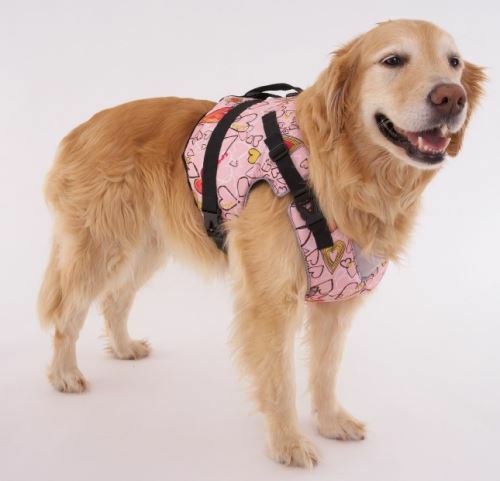 This Sierra Dog Supply Pink Heart Dog Life Vest is a true flotation vest that doesn't fit like a coat. 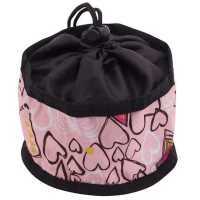 Great item for your little swimming girl doggie! Swim vests are made with just enough floatation to aid in swimming, but all the durability for the most active pet. The best part? They are so stylish! 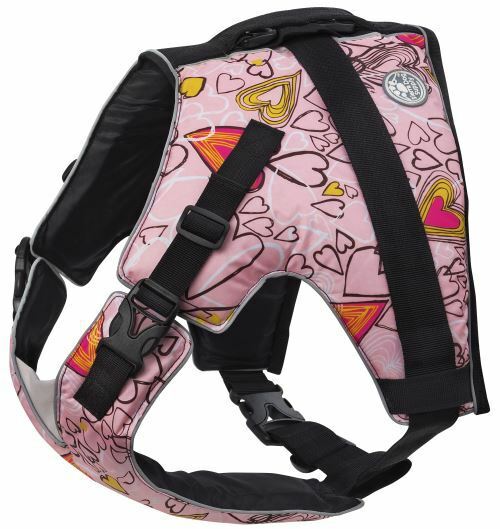 The Pink Heart Dog Life Vest has an adjustable girth and adjustable chest/neck area with low profile handle with D rings. 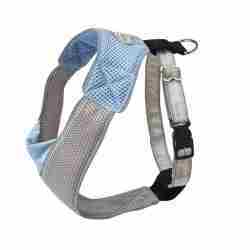 The vests have bright contrasting reflective trim throughout and variable thickness buoyancy cells. 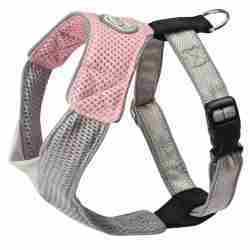 The Pink Heart Dog Life Vest material is heavy duty construction. This is a a very durable product. 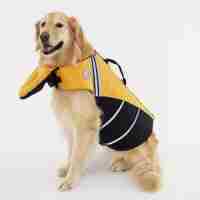 This dog life vest is meant to sit on upper back, not the entire length of the back to the tail .